A “sit in” of tourist bus has occurred in one of the strategic traffic areas of Rome, Piazza Venezia. 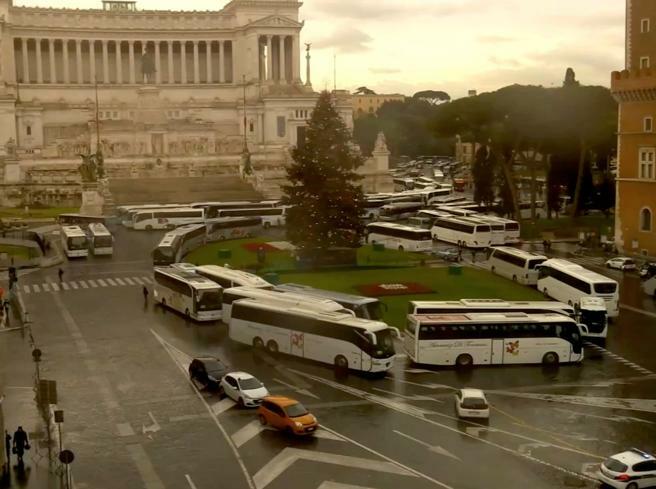 Approximately 200 vehicles parked under the Campidoglio blocked the center of Rome to protest against the new bus plan restriction which prohibits access to the historic center from January 1, 2019. The drivers asked to meet some representatives of the Rome municipal administration to discuss the new regulation. However, a protest turned wild against the 5-star political movement that passed the law, and their flag was set on fire right in the center of the square. The union of organized tourism was already at war after the decision of the Council of State, last December 14, to proceed with the decision to maintain faith to the new plan for the tourist buses of the Municipality of Rome, ignoring ETOA’s clamoring for the revision of the provision. “From January 1, many of us will be unemployed. We already have a 10% cancellation of the groups organized for 2019,” said Cinzia Renzia, President of Assoviaggi Confesercenti, as told to to the Adnkronos Agency. 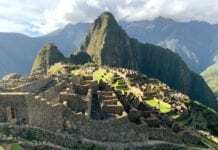 This problem is extended to other Italian cities due to the diversion of tourism by the large European tour operators. The protest in the square engaged dozens of patrols to direct traffic and try to limit the chaos that arose up to the Lungotevere between diverted buses and streets partially closed to traffic. The unrest in the category of drivers is linked to both the prohibition of access in the historic center and the other new rules that will start with in January 2019, which is the increase in rates for admissions to the city of Rome. The other aspect of the inconvenience is linked to the battle between taxi drivers and Ncc, (The blu taxi official licence company), the charterers with drivers who drive the buses that accompany tourists. The protest of the taxi drivers is aimed at convincing the senators to approve the Ncc amendment. The protest took place on the morning of Thursday, December 20, 2019. Nearly two dozen people are dead in Taiwan and China as Soudelor continues to push across China with flooding rain.